The High Court of Delhi, while deciding a writ petition, has held that an accident while returning to join duty should be held to be construed as an accident while on duty. The petitioner, the widow of an Assistant Sub Inspector of CRPF, raised a plea before the court to direct the respondent State to grant the petitioner extra-ordinary family pension and ex gratia lumpsum compensation. According to the findings of the Court of Inquiry, the CRPF officer was posted in J&K and he was granted one day's casual leave on 16th February 2015, with the permission to avail of 15th and 17th of February as holidays, as being a Sunday and government holiday, respectively. Thereafter, the deceased, on reaching his hometown on the forenoon of 15th February, proceeded on his motorcycle on the next day from his village to Khatoli Ahir, since no trains were available from the nearest railway station to his hometown. The deceased met with an accident on 16th February, wherein he was hit by a truck during the course of his journey to report back to duty. The COI came to the conclusion that the accident occurred when the deceased was returning to duty at public expense and hence the COI made a recommendation to the extent that his wife is eligible for extra-ordinary family pension in addition to the other pensionary benefits applicable to government servants. However, the recommendation of the COI was rejected by the Department of Pension and Pensioners on the ground that the death was not attributable to active service. 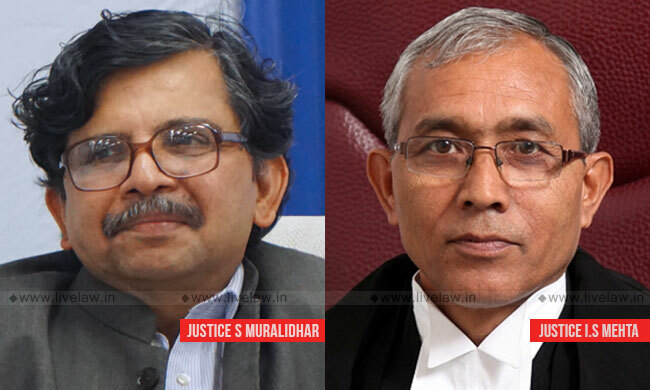 The division bench comprising of Justice S Muralidhar and Justice IS Mehta concurred with the finding of the COI that the petitioner's husband met with the fatal accident while returning from his village to join duty at J&K. The bench, referring to the decisions of the apex court in Madan Singh Shekhawat v. UOI and UOI and Anr v. Ex-Naik Surendra Pandey, observed that the accident occurred during the authorized journey while on leave should be held to be an accident while on duty. The denial of the extra-ordinary family pension and ex gratia amount on the ground that the deceased was not on active duty during the accident is untenable, opined the court. The court, while allowing the petition and setting aside the order of Department of Pension refusing the claim of the petitioner, directed the respondents to grant the extra-ordinary family pension and ex gratia lumpsum compensation within 12 months with 12 percent interest from the date it was due till the date of such payment.